Serving the greater Raleigh-Durham area, The Aluminum Company of North Carolina, distributes an extensive array of top quality home improvement products including windows, vinyl siding, HardiePlank® siding, roofing, entry doors, shutters and gutters. Each is a life-long, low-maintenance component to your home. 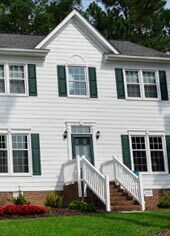 Every job, from replacement window installation to new vinyl siding, is installed by The Aluminum Company of North Carolina's own trained personnel. Our home remodeling clients throughout the Raleigh-Durham area can earn cash referral fees of up to $150 for prospects sent to The Aluminum Company. Be sure to ask for details! If you live in Raleigh, Durham, Cary, Chapel Hill, Greensboro, Wilmington and everywhere in between, including south-central Virginia, The Aluminum Company of North Carolina is at your service. 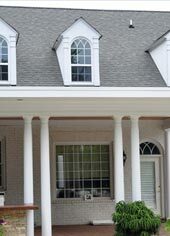 We install the finest quality replacement windows in Raleigh-Durham, designed and manufactured to our own exacting specifications—AND the needs of YOUR home. All sizes and configurations are available, even specialty and hard-to-find window treatments. If you are in need of vinyl siding or a new entry door, The Aluminum Company offers full-service exterior home remodeling solutions. 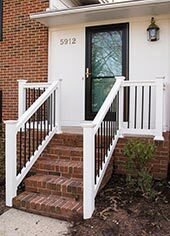 To add a distinctive and functional elegance to any home, the Aluminum Company has the home improvement products, designs, and installers that are perfect for your Raleigh or Durham home. Are you tired of drafty windows that are driving up your heating and air conditioning bills? 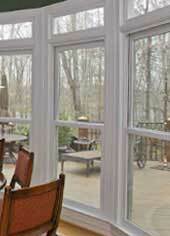 The Aluminum Company of North Carolina proudly offers the most energy-efficient replacement windows in Raleigh-Durham. Call today to reduce your cooling and heating bills and receive a free estimate on energy efficient double-hung, sliding, casement or bay windows. Improve the curb appeal and increase the value of your Raleigh-Durham home with new vinyl or fiber cement siding. 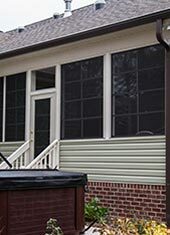 The Aluminum Company of North Carolina installs maintenance-free, weather resistant siding throughout the greater Raleigh-Durham area. 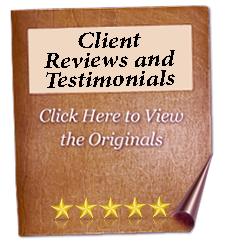 Contact us today for a free quote on siding replacement for your home. When the time comes to replace your roof, don't trust just any Raleigh-Durham roofer. The Aluminum Company of North Carolina has served the greater Raleigh-Durham area since 1961. 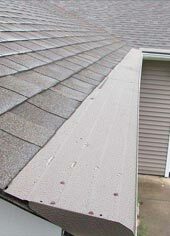 Call today for a free estimate on replacing or repairing your roof. 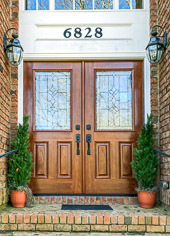 Add a distinctive touch to your Raleigh-Durham home with a new entry door. Not only will you increase the value of your home but you will lower your energy costs. Our Energy Star qualified doors meet strict standards. Call today for a free estimate. Serving the greater Raleigh-Durham area, The Aluminum Company of North Carolina offers gutter and gutter helmet installation. 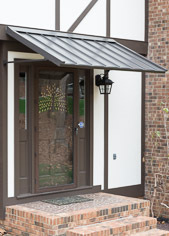 Choose from several colors and gutter protection options For service throughout the Raleigh-Durham area, contact The Aluminum Company today. Ready to replace your roof, windows or siding? Adding a room or a patio? At The Aluminum Company, we’re here to help. Our team of home improvement professionals provides the products and installation services you need for your next remodeling project.